RG Herald: La Union Elem. Had a "Fantastic Friday"
La Union Elem. Had a "Fantastic Friday"
Students were treated to a fun filled afternoon on Friday, October 1, 2010, to celebrate the successful end to the first six weeks. Ice cream was given as a special reward for academic and attendance incentives. Pre-kindergarten through fifth grade students enjoyed an afternoon of activities such as football, soccer, basketball, moon jumps, hoola hoop contests and much, much more. 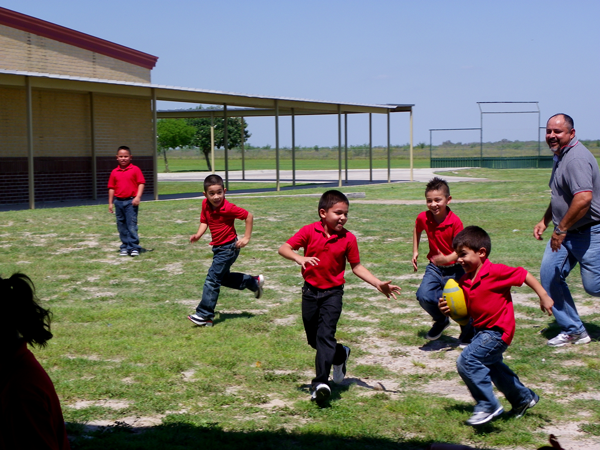 Pictured above are La Union Elementary students playing a friendly game of football.